Welcome to the world of sanctity – a cosmos of flourishing surrounds ornamented with happy homes for nature friendly living; welcome to Concorde Opus One. The project is located in juvenile surrounds of Kanakapura Main Road and occupies a verdant land parcel of 110 acres. This residential community offers luxury villa plots of 30’ X 40’, 30’ X 50’, 40’ X 60’, 50’ X 80’ and commercial sites with world class social and physical infrastructure. 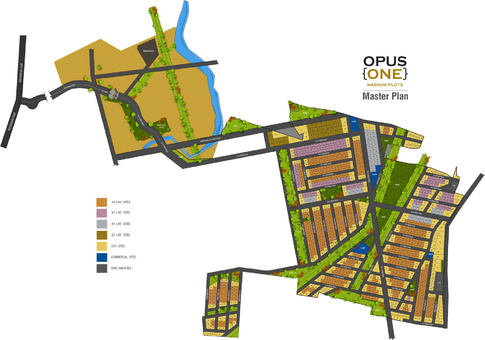 The layout is well planned with wide roads, STP, sump &amp; bore-wells, sanitary, electrical and communication network. The premise is surrounded by natural lakes and includes in-house landscaped green zones with water features and tree-linings. The amenities offered includes fully equipped clubhouse with gym, Library, Conference hall, restaurant, 24 Hour coffee shop, resort, indoor- outdoor sport facilities, swimming pool with laps pool, barbeque area, ayurvedic centre, salon &amp; spa, crèche and round the clock security monitoring. 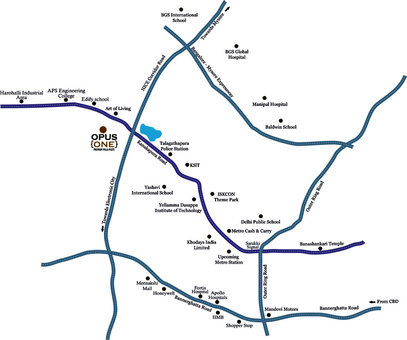 Concorde Opus One is located in scenic suburbs of Kanakapura main Road, South Bangalore. This locale has well developed social and physical infrastructure tagged with settled greenery. The presence of reputed schools, colleges, grocery stores, hotels, hospitals, multiplexes, malls, banks and other conveniences makes it an ideal residential hub to dwell-in. The presence of NICE corridor in near proximity gives an easy commute to prime areas of Electronic City, Bannerghatta road, Mysore Road, Banashankari, JP Nagar and Jayanagar. Beginning with a meticulous planning and upholding utmost consideration for quality through the development process is what makes The Concorde Group, an unparalleled developer. Pioneering the development of residential units with competitive prices, today the group has 750 crore worth of projects, due for completion in the next three years.